Ginger Groeber is the CEO and Founder of Exfederal.com and a seasoned leader in the industry, with over 30 years of human capital experience (26 years in the public sector and six years in private). She is the head behind Groeber Consulting Group and has held positions as the Vice President of Human Resources Line of Business at Lockheed Martin, and Deputy Under Secretary of Defense for Civilian Personnel Policy. Groeber spoke with WashingtonExec about her company, which is hitting its one-year anniversary this month, her past role as Deputy Under Secretary, the public versus private sector, her leadership style, industry take-away’s, and more. WashingtonExec: Can you tell us more about your background, and why you started Exfederal.com? 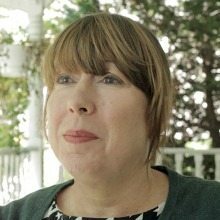 Ginger Groeber: The concept for Exfederal.com evolved over my years as a Government contractor, coming out of a career with the Dept of Defense. I was working as a small business owner and also as a Vice President with Lockheed Martin. I really had trouble finding a great recruitment tool for finding candidates with the great public sector experience I knew was out there. The places that were out there were too expensive, hard to use, and didn’t have the right talent pool. So I started Exfederal.com to provide a place to find job candidates who have government experience and also provide a single locations for those who are looking for government contracting work to find a job. I used my experience in Human Resources to look at how a manager would want to screen for candidates and created a novel search method that allows for targeted searching through applicant resumes. WashingtonExec: One of your past roles was Deputy Under Secretary of Defense for Civilian Personnel Policy. What was that like? Ginger Groeber: Working for Department of Defense was the best experience of my life. Being in a job like the Deputy Under Secretary was very challenging, but I worked for great people like David Chu, the Under Secretary for Personnel and Readiness and was able to make a difference while I was there. WashingtonExec: Having worked both the public and private sector, what do you find to be some advantages, as well as challenges, in each sector? Ginger Groeber: I find it interesting to see the same world from different sides, like the role of the contractor. Now having been on both sides, I have a greater appreciation of the role the government plays in impacting the contractors work as well as what the government goes through. As a small business owner and having worked for a large business, I can see the big differences between the two and the contracting world. That being said, each has its own challenges and advantages. I am glad I’ve had the opportunity to work on both sides of the fence. WashingtonExec: Exfederal.com was founded in February 2012, hitting the one year-mark this month! How has your company evolved in that year? Ginger Groeber: Last February was when Emily Coates, the brains behind the look and feel of the website, and I decided, “let’s do this”. We spent a few months strengthening our concept, while starting to garner interest publicly. We started the website by putting up job posts, very simple. Behind the scenes we were working with our developers to create an amazing database search. Just six months ago we fully launched, for the first time allowing Employers to post jobs and search the database on their own. Since then we’ve continued to work on building our database, our biggest goals of the first year. I’m very happy with what we’ve accomplished in one short year. Our database is full of top tier, high quality professionals with federal experience and growing every day and we’re building a great client list. WashingtonExec: What is your leadership style? How would you say it has changed in the year since starting Exfederal.com? Ginger Groeber: While this isn’t my first company, it’s my first time working on a technology and web based project. As you can imagine my leadership style is completely different managing a small internet start up than running a large Human Resources organization in a highly structured environment. Since we’re a small team, we all have our strengths in certain areas and divide work based on those skill sets. At Exfederal.com, we work in one common room to allow for a free flow of ideas, even across our specific areas of responsibility. The one private office we have is a conference room. This configuration allows for immediate conversations and reaction to ideas and quickly handling issues. WashingtonExec: With over 30 years of human capital experience, what has been one of your biggest industry take-away’s? Ginger Groeber: That we have a lot of bright and hardworking people in this country. Finding and keeping the right ones is a challenge. Managers need to take the time to assess what skills and experience they want in their employees and not leave that part to the Human Capital staff. WashingtonExec: What keeps you up at night? Ginger Groeber: My dog! But seriously, we work really late most nights on Exfederal.com (a new company’s job is never done!) so when I do go to sleep, I sleep well.